Nurse Kaci Hickox, who was quarantined in New Jersey after treating Ebola patients in Sierra Leone, will be discharged after threatening legal action over her confinement. Kaci Hickox said she was made to feel like a criminal after returning to the US on October 24. She is free of symptoms and will be flown privately to her home state of Maine, New Jersey officials said. The White House and mayor of New York have expressed concerns over new strict quarantine orders in several US states. The new rules in New York, New Jersey and Illinois require a mandatory 21-day quarantine for all health workers who have had contact with Ebola patients in West Africa upon their return to the US. The measures were announced after a New York doctor who had treated patients in Guinea fell ill with Ebola last week. Amid criticism the quarantine rules were overly strict, but New York Governor Andrew Cuomo eased the state’s restrictions on October 26. Now, returning health workers who have displayed no symptoms will be allowed to pass the quarantine period in their homes, will be allowed contact with their families and friends, and will be monitored twice daily. Compensation will be offered for lost earnings. More than 10,000 people have contracted the Ebola virus, with 4,922 deaths, according to the World Health Organization’s latest figures. Separately on October 27, a five-year-old boy was being tested for Ebola at Bellevue Hospital in New York City after visiting an Ebola-stricken country and developing a fever, hospital officials said. Test results were expected later in the day. In a statement, the New Jersey health department said Kaci Hickox had tested negative for Ebola on Saturday and had been free of symptoms for 24 hours. Kaci Hickox arrived at Newark Airport on October 24 and was placed in isolation after developing a fever, the health department said. “She was cared for in a monitored area of the hospital with an advanced tenting system that was recently toured and evaluated by the CDC. 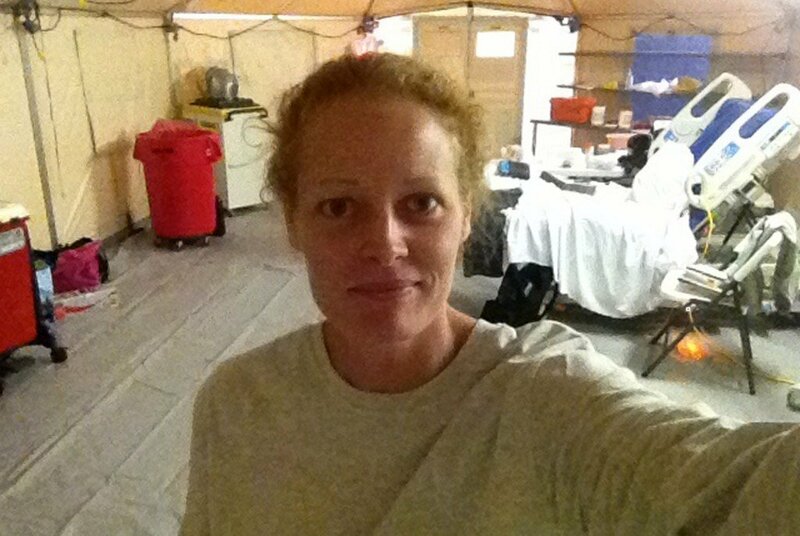 Over the weekend, Kaci Hickox, of medical charity Medecins Sans Frontieres (MSF), said she underwent hours of questioning at the airport before being transferred to a hospital isolation tent outside University Hospital in Newark. She described the experience as “frightening” and a “frenzy of disorganization”. New Jersey Governor Chris Christie had defended the state’s quarantine requirements. Kaci Wilcox’s lawyer Norman Siegel said her isolation raised civil liberty issues given that she had displayed no Ebola symptoms and did not test positive for the virus. “We’re not going to dispute that the government has, under certain circumstances, the right to issue a quarantine,” he said, adding that “the policy is overly broad when applied to her”. New York Mayor Bill de Blasio has described Kaci Hickox as a “returning hero”, but said that she had been “treated with disrespect” when put into quarantine.